I really need to stop the spending. So for the rest of February (all 2 weeks of it), I am on a spending ban. I was working in the city centre this week which meant the unavoidable trip into Primark. I couldn't believe the selection of stuff that I saw and I'm definitely heading there again post-ban! I picked up this gorgeous shirt that I'm slightly in love with! Its a lovely shimmery grey/blue colour and the material is stunning. 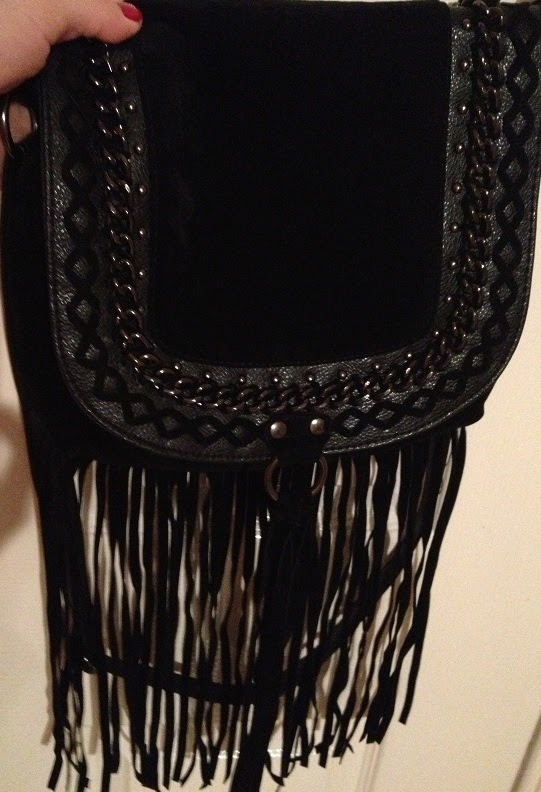 I plan on wearing this tucked into dark skinny jeans! 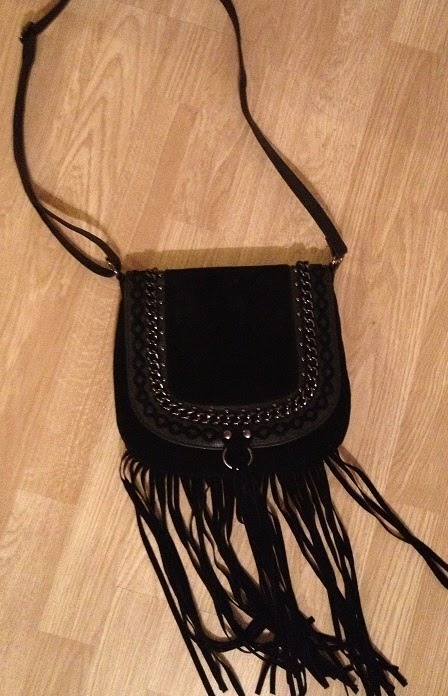 The next thing I got in Primark was this gorgeous black tassle bag. It was only £8.00 and is so detailed and well-made. Its a smaller bag than I would normally carry but I suppose that prevents me carrying around all the useless junk that normally weighs me down! 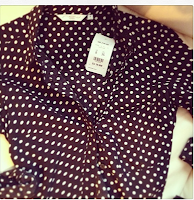 If you saw my work-wear wish list on an earlier post, you will know I've been on the hunt for a new work wardrobe. (obviously, stupid sentence!) I ended up going on line on Sunday night and ordering quite a few things from ASOS. Two of which are currently in the wash so I will show the online pics to illustrate! 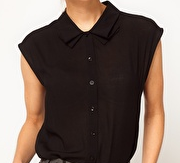 ..
From my wishlist, I bought this black sleeveless blouse with folded collar. I think I'll be able to wear this in a few different ways! And a lovely little black jersey skater skirt which was only £14.00 - it will go with so many outfits! 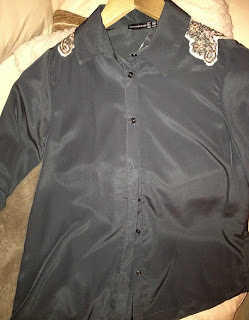 then you will have seen this pic I posted of my shirt from New Look. be wearing this in lots of different ways! 2 comments on "Shopping Haul and a Bit of Buyers Remorse"